Congratulations to the Cast of Scrooge! The Musical 2015! 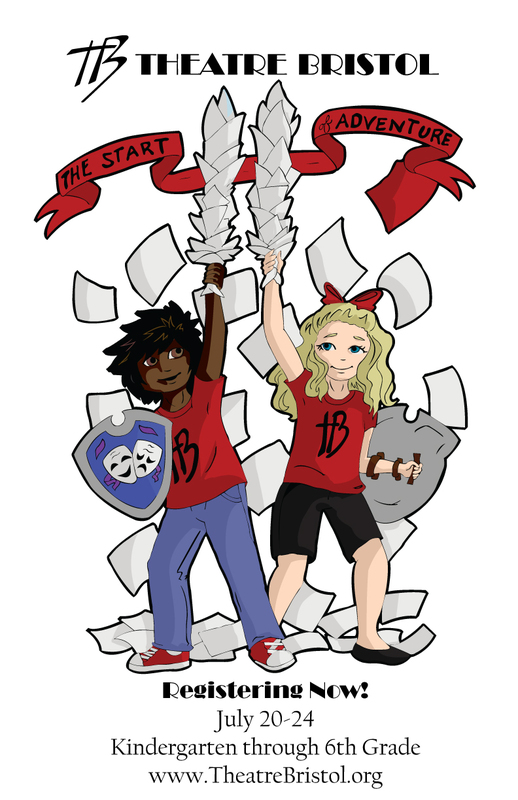 Follow the TB Les Misérables 2015 Blog! Calling All Young Actors! Summer Camp is Back! as classic tales retake the stage to mark its 50th Anniversary. Bristol, Tennessee/Virginia, May 2015–Theatre Bristol proudly announces its 2015 children’s summer camp The Start of Adventure: Classic Tales Retake the Stage, running July 20-24 at 512 State Street, Bristol, Tennessee. Campers will explore theatre and acting skills from talented and highly respected teachers and theatre veterans in the area, including Glenn Patterson, director of Joseph and the Amazing Technicolor Dreamcoat, Miracle on 34th Street, and Scrooge The Musical!, and the upcoming Les Miserables, and Laura O’Bryan, lead actress in many Theatre Bristol productions. “We’re really excited to be bringing our camp program back this year,” says James Altman, the camp coordinator, “We’re also very thankful to the professionals who will be teaching the campers valuable theatrical skills and knowledge.” Guided by the Theatre Bristol Youth Service Board (YSB), campers will spend the week learning acting skills, creative movement, music, costuming, makeup design, set design, props, and more. At the end of the week, campers will get to perform three classic shows from Theatre Bristol’s early days. Kindergarten and first graders will participate in Cinderella, a show performed many years through Theatre Bristol’s history; second, third, and fourth graders participate in Tom Sawyer, its first “official” show and a classic performed many years through Theatre Bristol’s history; and fifth and sixth graders will participate in Rip Van Winkle, a major original production enlisting the significant involvement of the Bristol community. As a special treat for the campers and their families, the Theatre Bristol Youth Service Board will perform Land of the Jesters, Theatre Bristol’s inaugural show. Camp will run Monday to Friday from 8:45am to 4:30pm, with early drop-off and late pick-up times available. Theatre Bristol will provide a healthy snack in the afternoon, however campers will need to pack a lunch each day. Registration is available online at www.theatrebristol.org. In addition, Theatre Bristol will be open from 10am to 2pm Saturdays, June 27 and July 11th to register at the office on 512 State Street. The early bird registration discount period is open until May 25, with a cost of only $125 per child, and $50 for each additional sibling. Regular registration begins May 25. The cost per camper is $150, with a family discount of each additional child reduced to $75. Financial assistance applications are also available. Space is limited so register soon! For more information about camp and registration, please visit www.TheatreBristol.org or email info@theatrebristol.org. INTERVIEWS: Interviews with Youth Service Board members or Board of Directors mentors are available. Please email info@theatrebristol.org. Let us know how you would like to get involved! Theatre Bristol in the Bristol Herald Courier: "Theatre Bristol helping to make Bristol a great place to live"